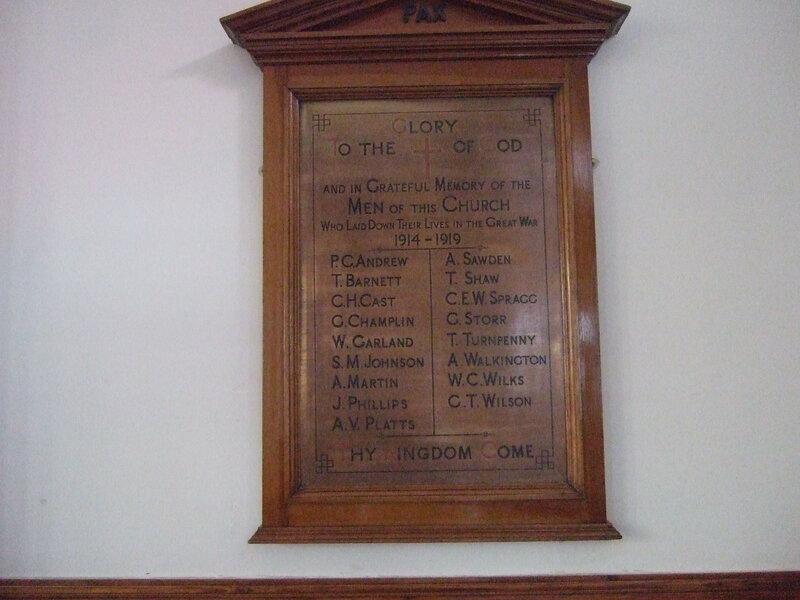 These two plaques can be seen in the Vestibule of St. John’s Burlington Methodist Church, Bridlington. You can clearly see on plaque one, 17 names listed and on plaque two, 20 names. Currently we are involved in the process of reinstating a third plaque, replacing one which has gone missing for many, many years, but finally, following a two year process, it has been agreed the new plaque, which will be of the same size as plaque one, will be hung beside plaque one in the Vestibule. The new plaque, commissioned by one of the distant relatives of Stanley Walker will be in oak and of a similar design to plaque one. A Dedication Service has been arranged for 26th January, 2014, following the Sunday morning Church Service, at 11.30 am. and will be conducted by Rev. Chris Free, Superintendant Minister at this Church. 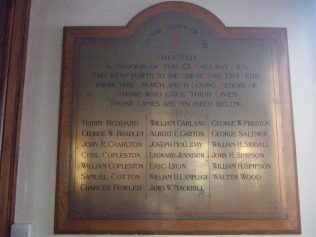 It is expected that apart from Miss Linda Ellis, (whose name will appear at the foot of the plaque as having commissioned the plaque, together with the date, to avoid any future questions regarding its age) two others, Jean Artley, Vicar of Nafferton Church and Rev. Neil Vickers and family, Methodist Minister at Boston, who have distant relatives listed, will also attend together with the Congregation of the Church Service. The following 11 names will appear on the new plaque. 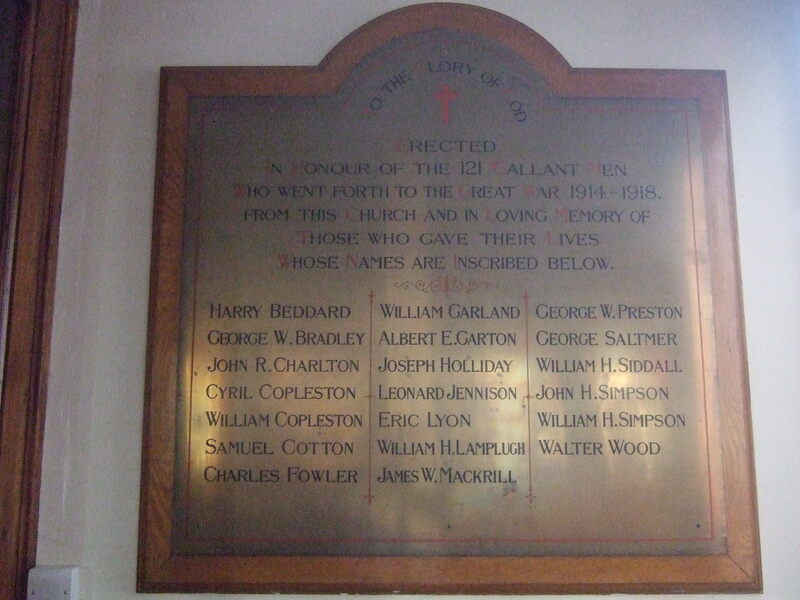 There will then be a total of 48 names from WW1 on three plaques in our Church Vestibule by 2014, a very significant year! Plaque one appears to be from The Quay Wesleyan chapel, Chapel Street. The last but one name is Rev. W.C. Wilks M.C., who is the subject of another page (in the Chaplains’ section). Plaque two lists the men from St. John’s Primitive Methodist chapel, in St. John’s Road.